Ap Omuragym themes has been purchased 34, rating: 4/5 based on 4 reviews. Ap Omuragym is a theme designed by Apollotheme which is dedicated to gyms, sports shops. It has a modern design and attractive image that attracts customers at first sight. Besides that, this theme has a flexible control panel and integrated tons of powerful modules to help customers have a great shopping experience on your website. and in particular, it will make the difference for your store with your competitors. 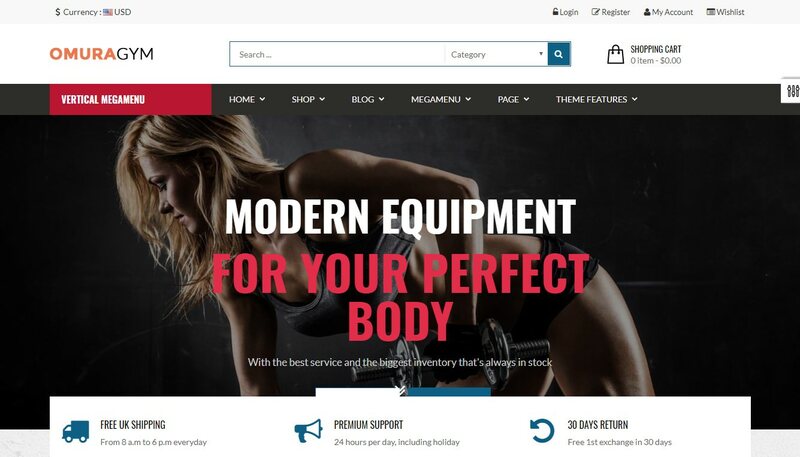 Don’t miss out on the Omuragym Shopify theme, discover and experience it!